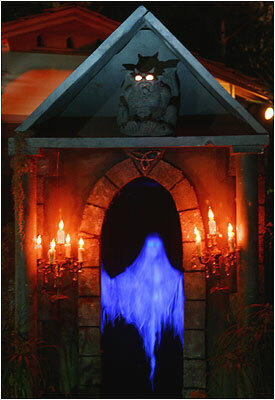 As always, the haunt is free to any and all trick-or-treaters. 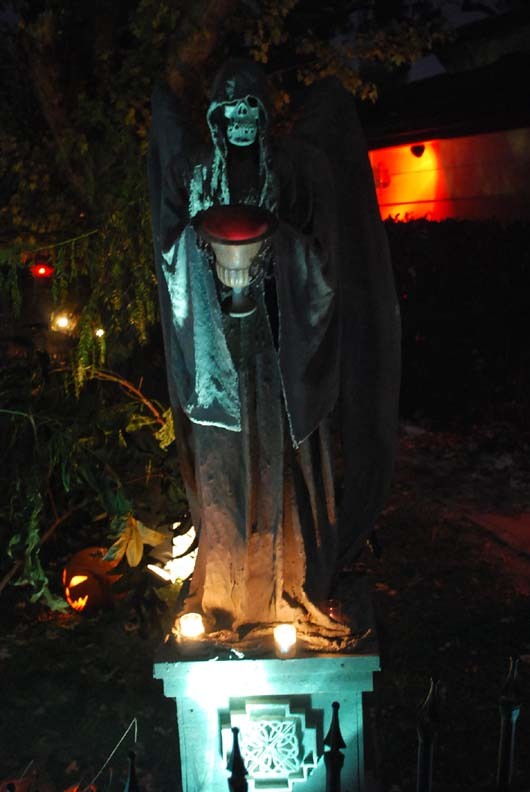 Located in a quiet, dark residential area, The Haunt with No Name Yet offers low-key creepiness that should delight adults without terrifying their children too much. 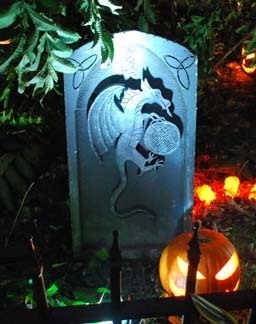 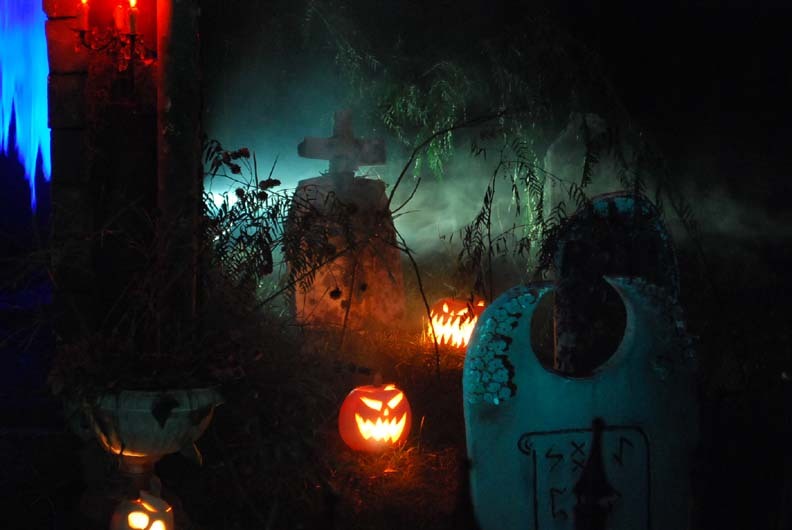 Its mostly Gothic decor - tombstones, ghosts, and Jack O'Lanterns arranged in static tableau, and other wonderful sights, with nothing jumping out at you.